Retired Glasgow-born actor Arthur Furguson was a terrific salesperson. However, like many other such people, he was unaware of his talent until one inspiring day when the perfect opportunity presented itself to him. 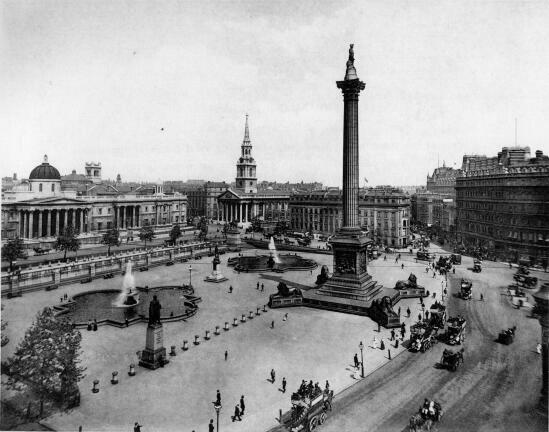 His moment happened in Trafalgar Square, one bright and sunny morning in 1923. The source of his revelation was a rich American from Iowa, who he found staring reverently at Nelson’s Column. Furguson decided to appoint himself as the official guide to the Square. Speaking to the American, he explained that the statue atop the column was of Admiral Lord Nelson, one of Britain’s most famous seafarers and naval heroes. He had died in during the Battle of Trafalgar, after which the square was named. Such a terrible shame, he sighed. The square wouldn’t feel the same without it. However, it all had to go, lions and fountains included. Britain’s debts were sky-high, and the government had decided to sell off the landmark to the highest bidder. The American was interested and inquired as to the price. Furguson mused and explained that it was to be sold for just £6000. Obviously, it would have to go to the right buyer: someone who would protect and appreciate a monument of this scale. By a curious coincidence, it was Furguson himself who had been entrusted by the government with the task of organising the sale, which had to be kept top-secret. The American pleaded with Furguson to allow him to jump the queue. At last he relented and telephoned his employers for instructions. He returned within a matter of minutes. It was decided that Britain was prepared to accept a cheque right away, to complete the deal as soon as possible. Furguson, amazed at his own cunning, immediately went off and cashed the cheque while his customer got in touch with some contractors. They were extremely reluctant to accept the job and told him why. It was not until he received an official assurance from Scotland Yard that he would believe that he had been conned. That summer was a good one as far as Arthur Furguson was concerned. The police however, were far from happy. Another American complained that he had paid £1000 for Big Ben, and another had made a £2000 downpayment on Buckingham Palace. 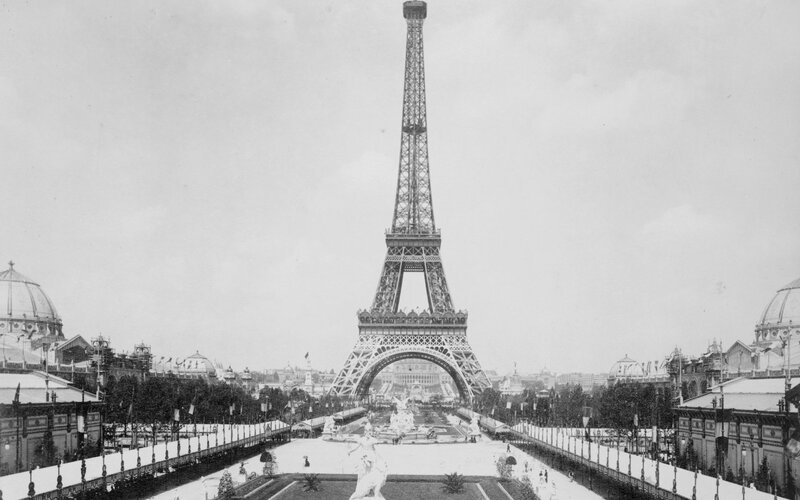 While visiting Paris, he managed to sell the Eiffel Tower for scrap at an unknown price to yet another American. Since Americans had all been his best customers, he decided to continue his work in their country. In 1925, he leased the White House to a Texan cattle-rancher for 99 years at $100,000 a year, with the first year’s rent payable in advance. Furguson’s bank balance was now sufficiently large for him to consider retiring. His vanity got the better of him however, and he wanted to end his career with a grand finale. Whilst in New York, he found the perfect victim, an Australian from Sydney. 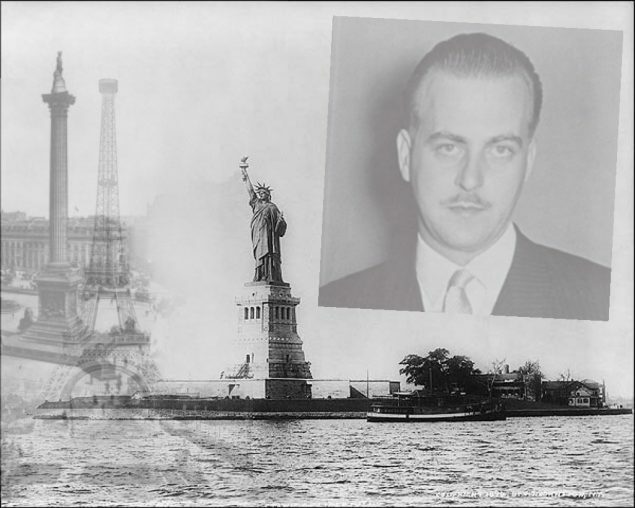 Furguson told him that the entrance to New York harbour was to be widened and unfortunately, the Statue of Liberty was in the way. However, sentimental attachments was not going to stop the path of progress, and the US State Department was prepared to sell it to anyone who would to take it away. The Australian attempted to raise the £100,000 deposit over the next couple of days. Furguson was practically glued to his side, carefully steering him away from anyone with whom he might be tempted to boast about his venture. Furguson kindly allowed himself to be photographed with his buyer, arm in arm in front of the Statue of Liberty. Unfortunately, there was a delay in getting the money through. Furguson grew impatient, and the Australian was suspicious. He took the photograph of himself and Furguson to the police. It was exactly the breakthrough the police wanted. They already knew about the salesman of monuments, but he had always managed to escape them. The Australian led them straight to Furguson, who was promptly arrested. Furguson was jailed for five years, a rather small price to pay for the fortune he had made. He was released in 1930, and moved to Los Angeles where he lived in a lap of luxury (paid for by a few more convenient tricks) until he died in 1938.